Swazi candles - All you need for your home and garden. Swazi Candles are handmade using a Millefiore glass bead inspired technique, adapted and perfected for candle making. 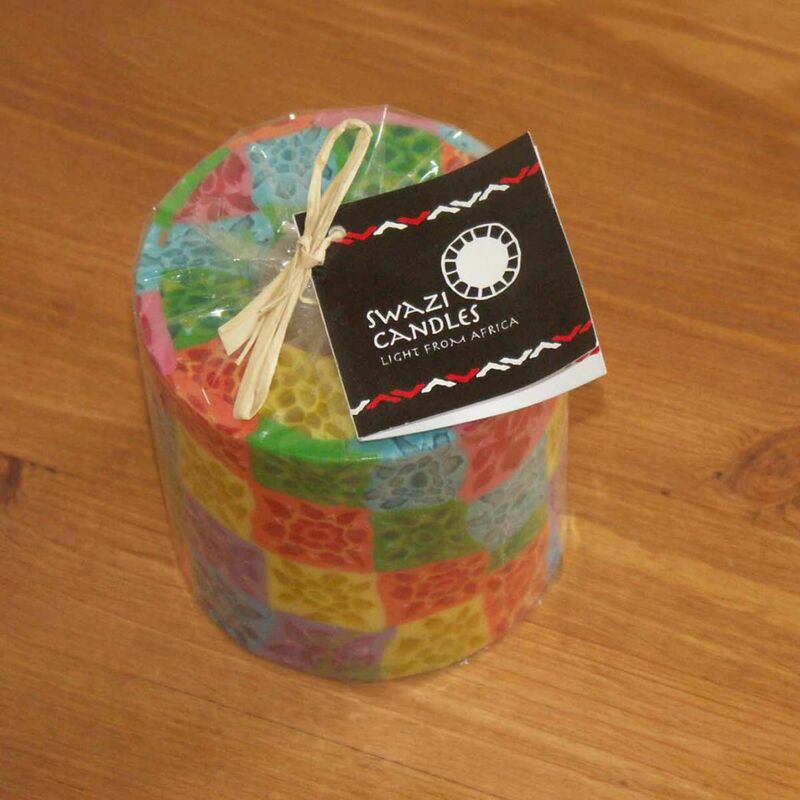 Swazi Candle artisans apply beautiful & colourful patterns to the outer shell of the candle using a hard wax veneer. 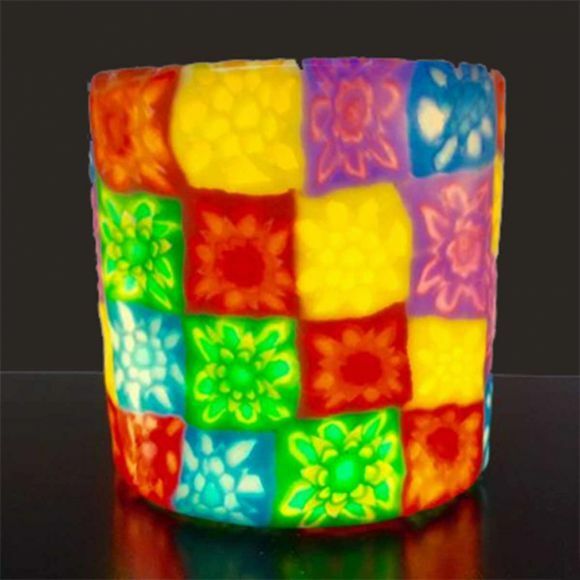 As the candle burns the soft inner core creates a translucent lens that allows the light to spread though the entire candle enabling the exterior patterns to glow as the candle burns. Larger candles can be re-used by placing a votive or tea light candle inside the wax veneer outer shell. Each candle is individually tagged, wrapped and makes a great gift for Christmas, Birthdays and Special Occasions!